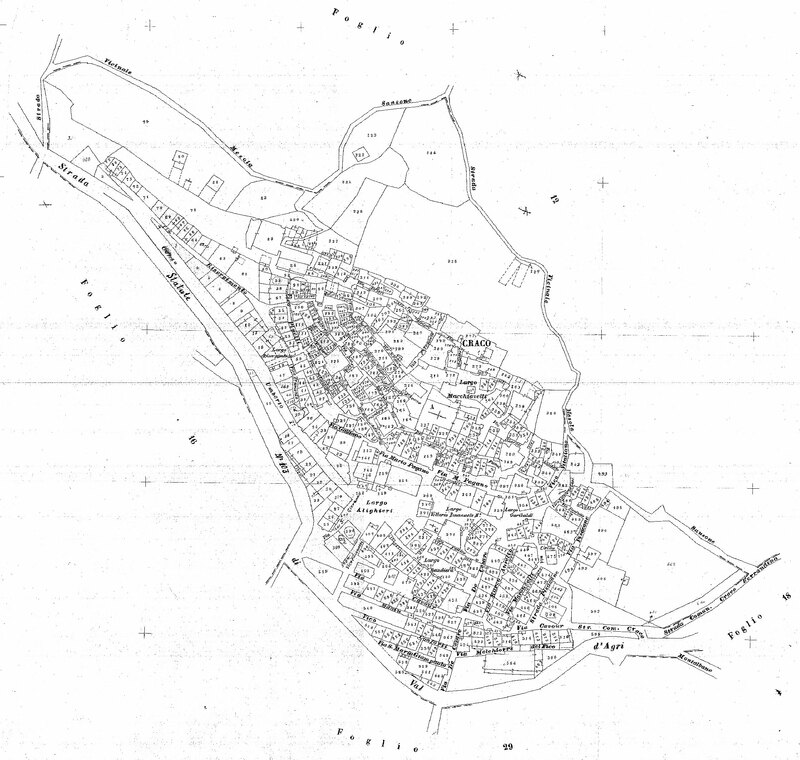 Purchase: "The History of the Town of Craco"
For genealogists and visitors to Craco Vecchio, The Craco Society has obtained a detailed map of the old town, published in 1939, which contains street names and property numbers. Through additional research, we have been able to correlate these property (map) numbers with the past street addresses. Below the map there are two charts, one lists the street addresses alphabetically and the associated map number, the other is a numerical list of map numbers followed by the street address. With the ability to now accurately locate these former domiciles, anyone who knows where an ancestor was born or lived can now find this location on the map, and perhaps, one day explore it in person. Our thanks to the Comune di Craco for making this information available to The Craco Society. © The Craco Society, Inc.
Any commercial use of any or all on this Site, in whole or in part, without the prior written consent of The Craco Society Inc., is prohibited.